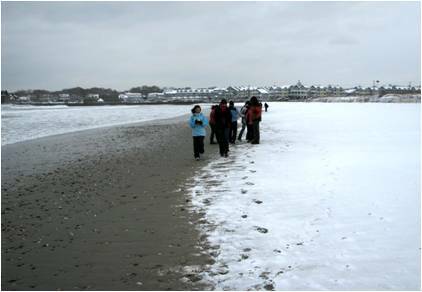 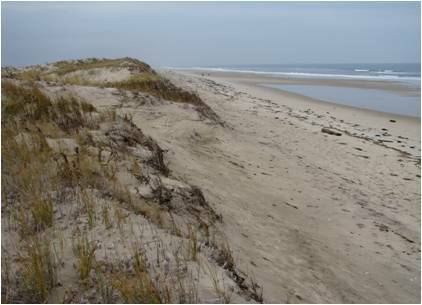 Our team has developed protocols for our shoreline surveys for the National Park Service. 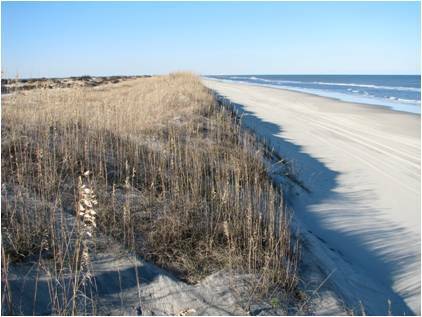 The US Fish and Wildlife Service has chosen to adapt these protocols. 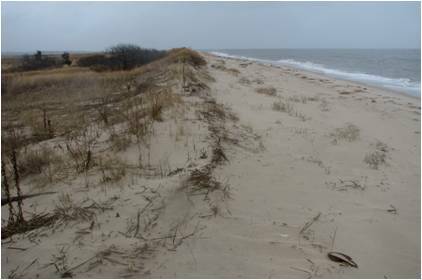 We have been traveling to several refuges along the northeastern coast to help refuge managers gather shoreline data in order to develop the best management plan for the habitat. 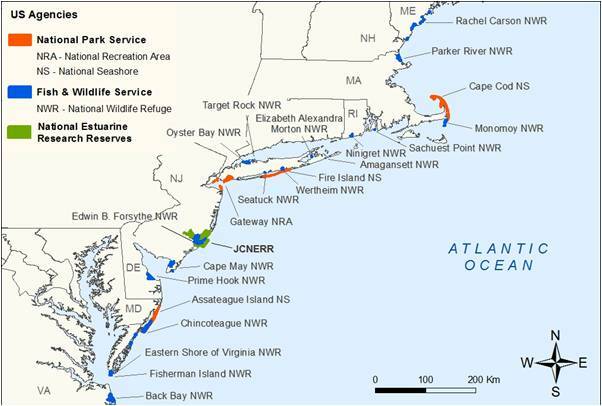 Each refuge involved (see above map) started our monitoring program with 1-dimensional shoreline location surveys. 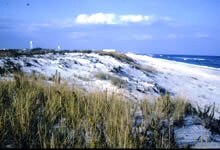 A few have progressed to include 2-dimensional beach profile surveys. 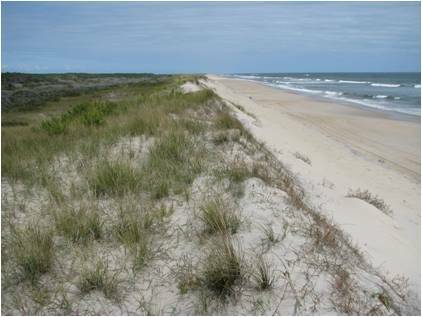 Watershed coordinator Andrea Spahn has been traveling to each refuge throughout the year to teach the protocol to the refuge staff and establish monuments within the refuges. 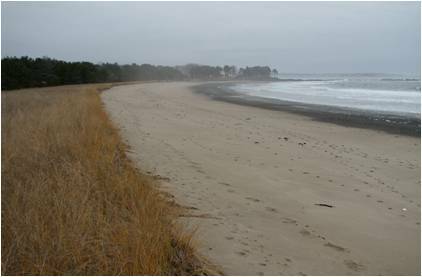 Click here for the shoreline monitoring protocol. 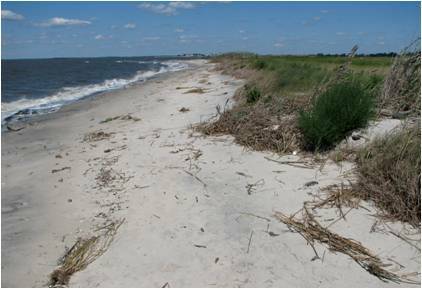 Dr. Psuty and Andrea Spahn training Fish & Wildlife staff from refuges along the northeast coast for our shoreline monitoring protocol. 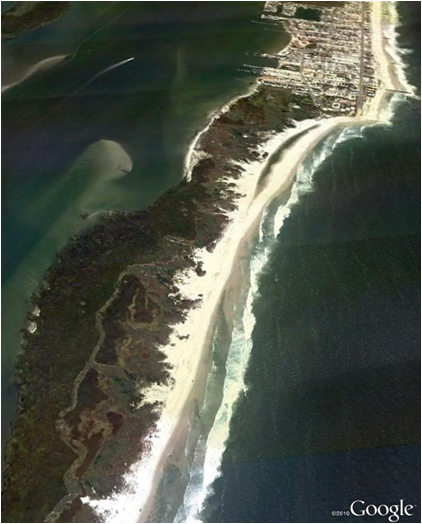 Note how the natural dunes which are in the FWS-managed lands are migrating inward while the heavily developed shoreline of Beach Haven is being depleted because it cannot move inward.